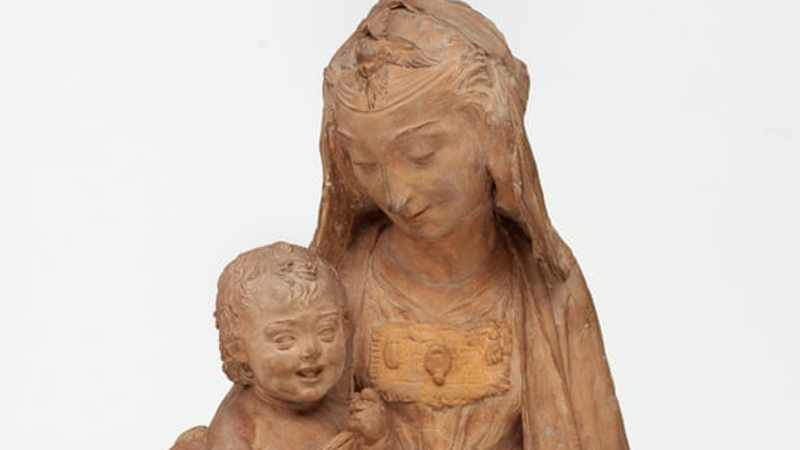 A Madonna sculpture previously attributed to Antonio Rossellino is now believed to be the last surviving sculpture by a young da Vinci, according to a Renaissance expert at the University of Naples. This could change now. According to The Guardian, a group of scientists, led by renaissance expert Professor Francesco Caglioti of the University of Naples, claims that a 15th century sculpture in the collection of the Victoria & Albert Museum in London has been misattributed and in truth was created by da Vinci. 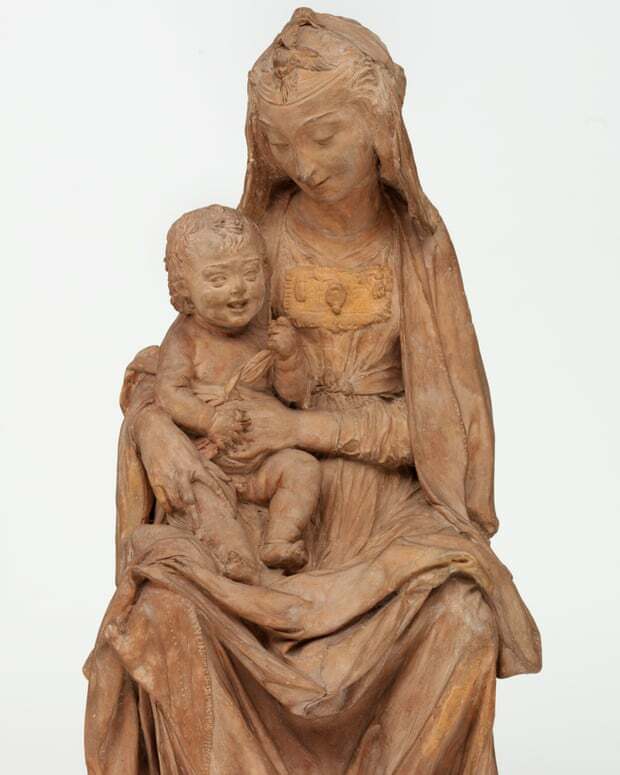 The terracotta figure in question bears the name Madonna with the laughing child and has been owned by the London institution since 1858. John Pope-Hennessy, the director of the museum from 1967 to 1973, attributed the figure to another Renaissance artist, Antonio Rossellino (1427/28- 1479), who spent most of his life in Florence. However, according to Caglioni, the resemblance to Leonardo da Vinci's work is undeniable, for the Madonna has that very special smile that is unique to Leonardo's works, such as the Mona Lisa. The combination of the smile and the perspective also resembles the expression of St. Anne in da Vinci's painting The Virgin and Child with St. Anne, circa 1509, that now hangs at the Louvre. Madonna with the laughing child is dated around the year 1472, when Leonardo da Vinci was 20 years old and an apprentice in the workshop of his teacher Andrea del Verrocchio. 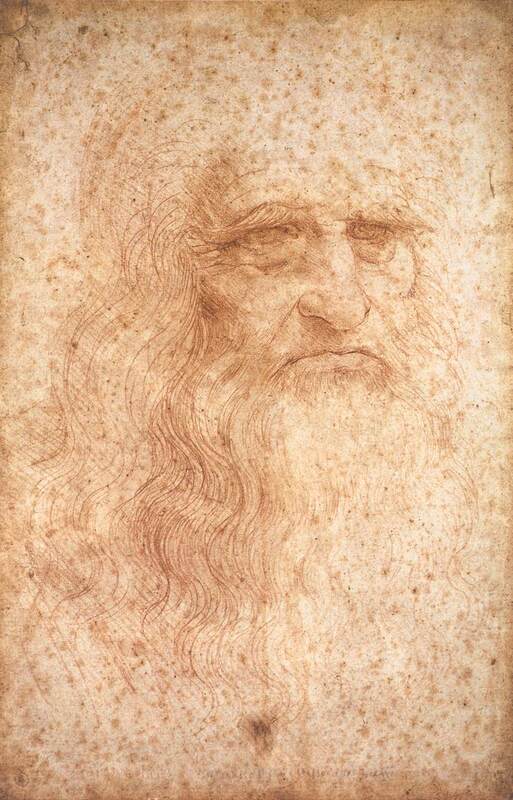 Drawings preserved by Leonardo at the time show that he was busy with mastering the depiction of voluminous folds of clothing, which is echoed in the detailed dress of the terracotta figure. So why was John Pope-Hennessy so sure that the sculpture was a work by Antonio Rossellino? Rossellino was a master of the bas-relief and he repeatedly chose Madonna as a motif. 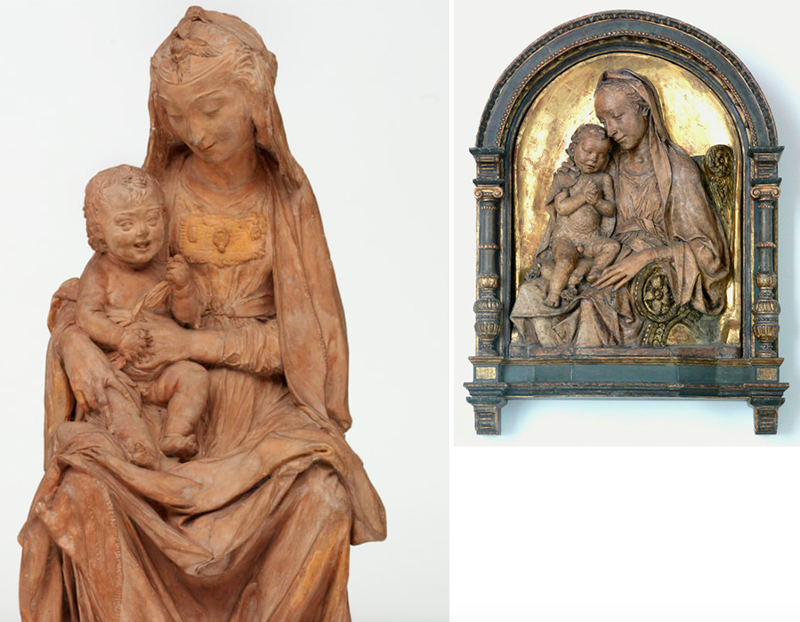 One of his works is the terracotta Madonna and Child on a gilded background, that was created around 1475 and is exhibited today in the Berlin Bode Museum. 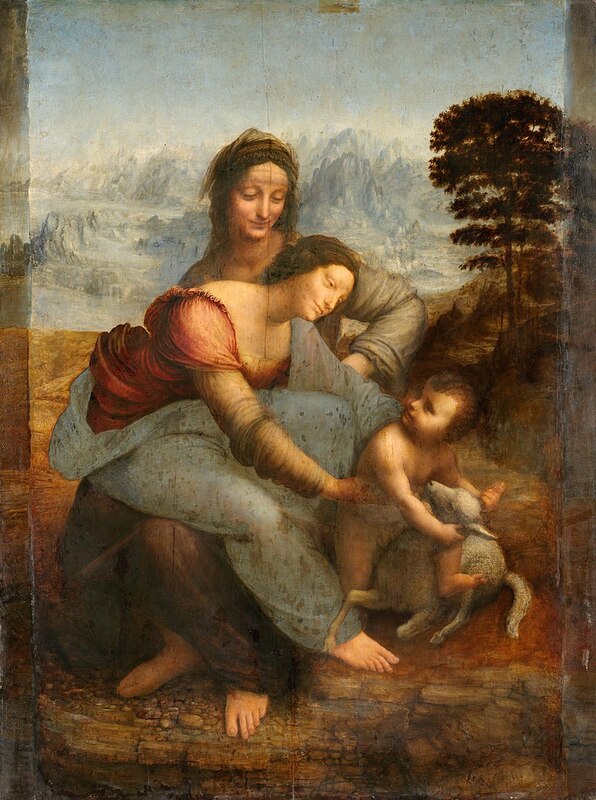 This work bears clear similarity to the Madonna with the laughing child, which could disprove Caglioni's thesis.